The Belgrade Land Development Public Agency has opened a new invitation for bids for laying down tram tracks on the Ada Bridge. Bids may be sent by January 22, 2018. City Manager Goran Vesic reminded that “this is a big project, whose value amounts to around two billion dinars and which entails construction of 2.7 kilometers of tram tracks on both sides of the bridge. This is the section that now looks empty and which has been designated for tram tracks since the time the bridge was built”. 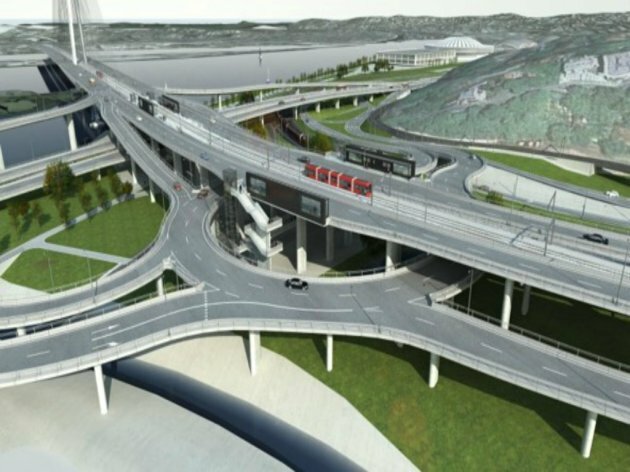 What’s important for citizens of Belgrade, the city manager points out, is that the project will connect Banovo Brdo and New Belgrade and reduce the time needed to travel between these two parts of the city to 10 to 15 minutes, Beoinfo reports. Aside from the tracks themselves, he says, the project also entails the construction of access routes, namely, from the Radnicka Street, in order to connect them with the existing tracks in Banovo Brdo, and on the other side, in New Belgrade, in the direction of the tracks currently passing by the bridge, along the Jurija Gagarina Street and the Djordja Stanojevica Street. Two stops should be placed along the new tram route, he said – “Block 42”, on the New Belgrade side, and “Radnicka Interchange”, immediately after the main span of the Ada Bridge, on the right bank of the Sava. Both stops, Vesic said, are built and are 75 meters long. The city manager explains that the city has decided to expand the tram network as it hasn’t been expanded for long, but even more importantly, because trams are a more environmentally acceptable means of transport, Beoinfo reports. Let us remind that it was announced in early 2017 that the contractor for tram tracks across the Ada Bridge would be known before mid-March. However, the tender was aborted in April and it wasn’t known until now when the new one was to be placed.